The King is back! Following the successful introduction of the Colt Cobra revolver in 2017, and marking Colt’s re-entry into the category they once dominated, snake number two has arrived. 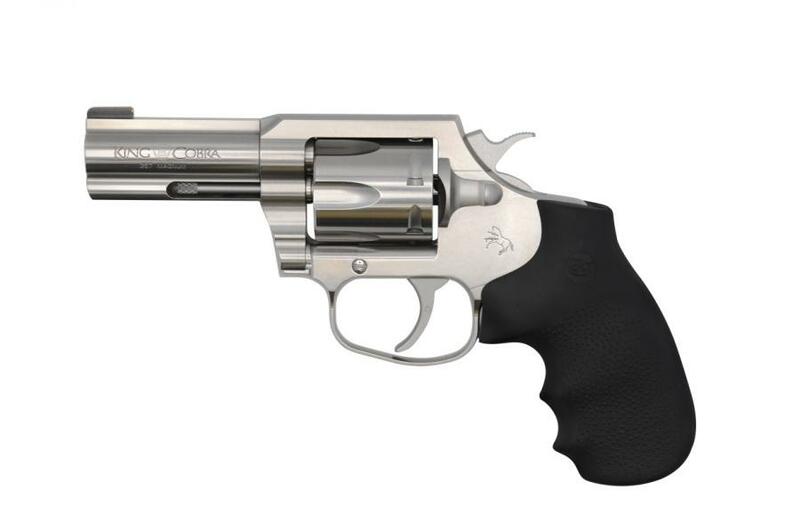 Colt’s King Cobra is reincarnated for 2019 as the 6-Shot .357 Magnum big brother of the Colt Cobra Double Action revolver. Sporting a heavy-duty frame, 3-inch barrel, and brushed stainless steel construction, the King Cobra secures a new place in the legendary heritage that makes Colt double-action revolvers some of the hottest collectible firearms today.